This December, as we have for the past 12 Decembers, we launched the longest running study of employee engagement and retention trends called Workplace America, In this employee engagement research, we ask questions to get at where organizations are struggling with their engagement and retention efforts and what strategies they are using to try to improve. We also ask them what’s working and what’s not. Last year in our 11th annual survey over 800 organizations participated in this employee engagement research. They were HR professionals, Operations leaders, Customer Service team members along with many other roles. The majority were senior leaders, Vice Presidents and Directors. And respondents cut across all industries as well. We feel we got a really good sense for what senior leaders in key roles in organizations are experiencing regarding employee engagement and retention. One key stat that always impresses us every year is the percentage of new hires that voluntarily leave a position within 12 months of hire (excluding pay). In 2015 it was 62% according to our respondents. To us, that’s mind boggling. What’s more is we hear quite frequently that some organizations don’t even know exactly what that percentage is. 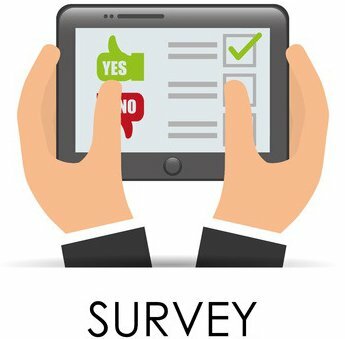 We’re asking you for about 8 minutes of your time to take our 2016 Workplace America survey. It’s anonymous. But you can choose to register at the end. If you do, you’ll get a free copy of the final report in March and an invitation to attend our March webinar free. At the webinar we summarize the report and provide our recommendations based on the results. You’ll also qualify for a complimentary benchmarking report comparing your survey responses to your industry and the Best-in-Class organizations from our employee engagement research. Wouldn’t you like to know where you stand with your employee engagement and retention efforts? And as you close out 2015 and start making plans for 2016, we’d like to suggest if you’re not already tracking voluntary turnover, it’s time to start. If you ever have any questions about how to engage your employees and reduce turnover, we’d be happy to talk.